Welcome Doctor. 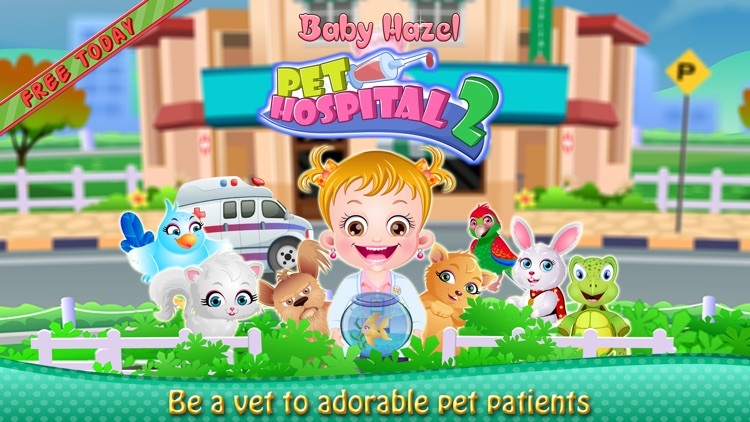 Darling Baby Hazel needs your help in curing her little Pets. Help her cure pets with right medical treatment and medicines. Hey little vets! Baby Hazel has an emergency. 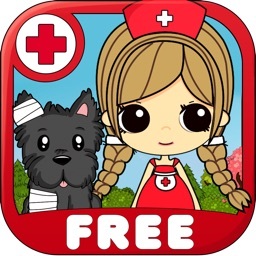 Adorable pets of Hazel and her friends are sick and injured. So, she decides to run a Pet Hospital to cure the little pets and make them healthy again. Little princess is looking for an excellent vet who can treat the sick pets with love and care. 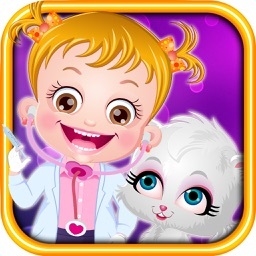 So kids, are you ready to take up this challenge and treat the cute patients? Pets will be highly grateful to you! The hospital is flooded with so many pet patients who needs an urgent treatment. They are hurt and sick and crying in pain! You have to help them out and treat them with care. Use amazing medical tools to diagnose and cure the pets. Prepare and give flavored syrups to your pets. Cook yummy food using delightful ingredients and feed them. Surprise! After treating every patient, you will get a smiley as an award. You can use this smiley to upgrade the hospital and make it better and better. So, what are you waiting for? 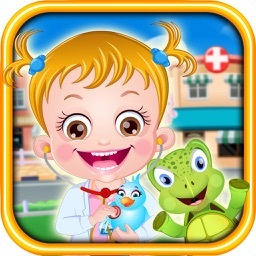 Treat more and more patients to collect smiley and equip your hospital with exciting amenities and interactive objects. 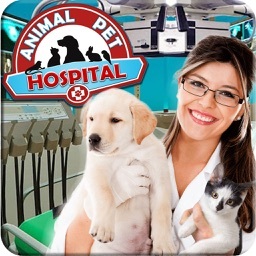 Cute Patients : Be a vet to 8 different pet patients – turtle, cat, dog, parrot, bird and many more. Treat them with care! Upgrade Lobby : Earn smiley to upgrade the lobby with amazing and interactive objects and amenities. 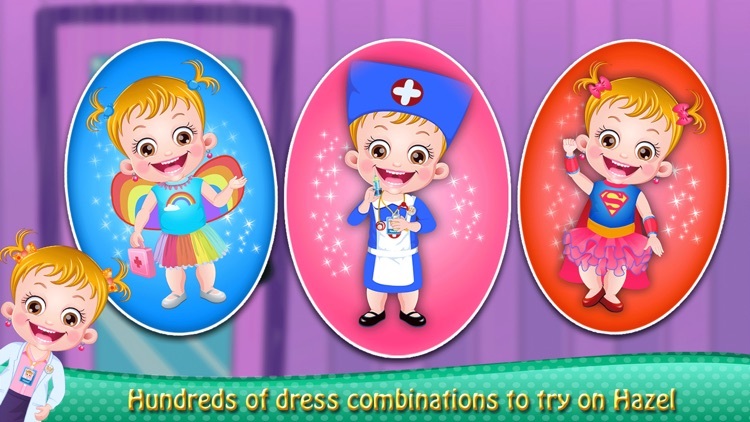 Makeover fun : Give Baby Hazel amazing makeovers - princess, fairy, doctor and many over. Dozens of outfits and accessories to try on Hazel! 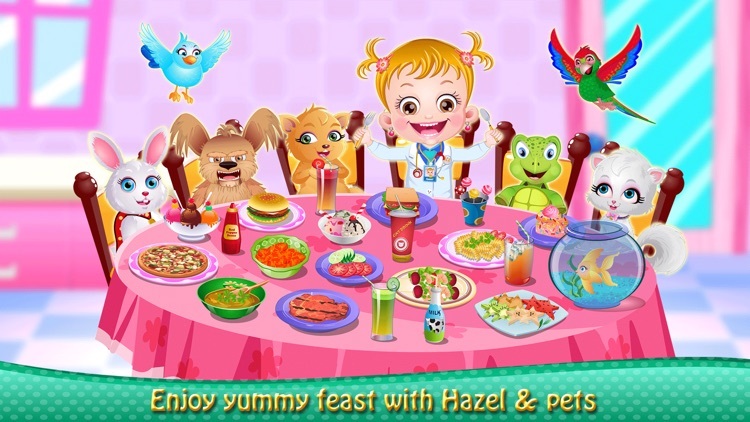 Note : Kids, you can enjoy and play Baby Hazel Pet Hospital Season one by following the link given inside the game.